Morgan the orca will not be freed from her tank at a Spanish amusement park, according to a verdict released today. The Dutch Council of State ruled that Morgan's highly-contested 2011 move to an amusement park in Spain was lawful, and that -- for now at least -- Morgan will not be returned to the ocean. 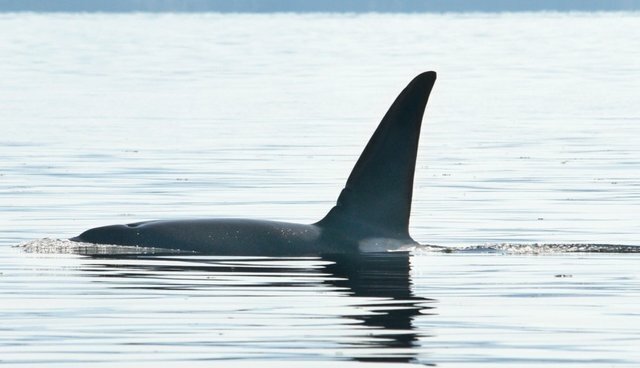 "Returning the killer whale to the ocean, as proposed by the animal welfare groups in the Morgan Release Plan, was not deemed to be an ‘alternative, satisfactory solution' because Morgan's native pod had not been found and she belonged to a population with a highly complex social structure," the court said. Found in a severely weakened state in the Wadden Sea in 2010, Morgan was taken to the Dolfinarium Harderwijk and nursed back to health. Then, she was shipped to Loro Parque in the Canary Islands in late 2011, because officials said releasing her back into the ocean was too risky. See this post for more information about Morgan's history. Animal advocates, spearheaded by orca expert Ingrid Visser, who has studied Morgan at length, and the Free Morgan Foundation, say that she is subject to frequent "aggression incidents," including bite marks and confrontations with other whales in the tank. Visser has also observed stereotypic behaviors and painful tooth problems she has from chewing on the tank's walls. You can read more about Morgan's disturbing conditions at Loro Parque here. Morgan's small tank has also been criticized -- and the fact that she shares that tank with whales that are not members of her family. Animal advocates have also noted that Morgan is entirely separated from her family, who live in Norwegian waters -- though orcas form incredibly close bonds in their pods that usually last lifetimes. Activists say that Morgan could be returned to her family, who have been identified through acoustic calls in the waters off Norway. If Morgan ends up staying at Loro Parque -- either because the Dutch court denies the appeal to reverse the decision-making that sent Morgan there, or because Morgan is impregnated before her situation is resolved -- SeaWorld will be the big winner in the Morgan saga. Morgan, as both a female and a wild orca with DNA that is new to the captive orca gene pool, is an extremely valuable animal. In an email Loro Parque spokesperson Patricia Delponti says that Loro Parque is simply Morgan's "holding facility" and that Loro Parque does not own Morgan. SeaWorld, in contrast, has made clear -- via filings with the Securities And Exchange Commission related to its public stock offering last year -- that it considers Morgan to now be part of its killer whale collection, and part of the group of whales it has on loan to Loro Parque.